Ian Skelly with the best in classical music. Plus conductor Marin Alsop on the people, places and ideas that inspire her. 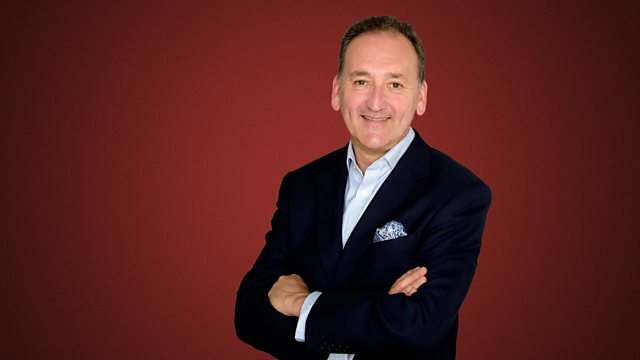 Ian Skelly with Essential Classics - the best in classical music, including three very different scherzos, Respighi's reworking of early music in his "Ancient airs and dances - Suite no. 3 " and a shimmering piece for two cellos and orchestra by contemporary composer Giovanni Sollima . 0930 Your ideas for companion pieces on the Essential Classics playlist. Today the starting point is Schubert's famous "Ave Maria", a setting of a song from Walter Scott's popular epic poem "The Lady of the Lake". 1010 Time Traveller - A quirky slice of cultural history. Today Kate Romano tells the story of the mythical Huma bird, that lives eternally in flight. 1050 Each day this week the trail-blazing internationally renowned conductor Marin Alsop talks to Ian about the people, places and ideas that have inspired her throughout her life and career. Today Marin talks about a favourite film. Ensemble: L'Orfeo Wind Ensemble. Conductor: Carin van Heerden. Myslivecek: Complete Wind Octets & Quintets: L'Orfeo Blaeserensemble/van Heerden. Conductor: Sergio Chierici. Ensemble: L'esaensemble. Ensemble: Baschenis Ensemble. Monteverdi: Scherzi musicali, Venezia 1607. Beethoven: Piano Trio in B flat, Op.97 'Archduke': The Florestan Trio. Performer: Geoffrey Parsons. Singer: Barbara Bonney. Schubert: Lieder: Barbara Bonney, Geoffrey Parsons. Orchestra: The Concordia Orchestra. Conductor: Marin Alsop. Performer: Nils‐Erik Sparf. Performer: Bengt Forsberg. Orchestra: Philharmonia Orchestra. Conductor: Efrem Kurtz. Performer: Christopher O'Neal. Ensemble: Fibonacci Sequence. Conductor: Harry Christophers. Choir: The Sixteen. Treasures of Tudor England: The Sixteen/Harry Christophers. Singer: Renée Fleming. Orchestra: English Chamber Orchestra. Conductor: Jeffrey Tate. Renee Fleming - By Request. Performer: Xuefei Yang. Orchestra: Orquestra Simfònica de Barcelona i Nacional de Catalunya. Conductor: Eije Oue. Rodrigo, Concierto de Aranjuez: Xuefei Yang. Conductor: Marin Alsop. Choir: MDR Rundfunkchor Leipzig. Orchestra: MDR Leipzig Radio Symphony. Performer: Angela Hewitt. Orchestra: Australian Chamber Orchestra. Conductor: Richard Tognetti. Director: Sir Antonio Pappano. Orchestra: Santa Cecilia Orchestra. Music Arranger: Renaud Guieu. Ensemble: Les Phil'Art'Cellistes. De La Matiere A La Couleur: Les Phil'art'cellistes. Singer: Andreas Scholl. Ensemble: Australian Brandenburg Orchestra. Conductor: Paul Dyer. Performer: Gautier Capuçon. Performer: Benoît Grenet. Orchestra: Orchestre de chambre de Paris. Conductor: Douglas Boyd.